Times have been tough for Renault Samsung Motors, the maker of SM series sedans ― SM3, SM5, SM7 and QM5. The automaker sold 246,959 cars last year, 9 percent less than the previous year. It delivered 109,221 units in Korea and 137,738 overseas. In the first quarter of this year, the company suffered the biggest drop in year-on-year sales among the five major players, including Hyundai, Kia, GM Korea and Ssangyong. In order to give fresh momentum to its sluggish domestic sales, RSM is now pinning its hopes on electric vehicles, while its local rivals are more bullish about plug-in hybrids. French auto company Renault has staked the most on emission-free fully electric cars among major car makers globally. The Renault-Nissan alliance, headed by chief executive Carlos Ghosn, has invested 6 trillion won ($5.15 billion) in their development and production over the past six years. 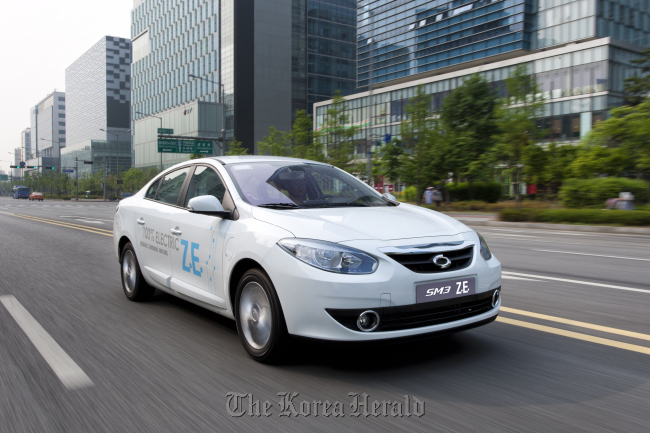 Affected by the strategic partnership, Renault Samsung unveiled the SM3 Z.E., the Korean version of the Fluence model, last month during the 2012 Busan International Motor Show. Your Questions About Fire Trucks For Sale | Electric Cars For Sale | Are YOU Looking for ELECTRIC CARS FOR SALE? Here's MOTOR SCOOTERS FOR SALE information for you!